As of April 2nd, 2018, passport fees increased $10 for many passport applicants. The U.S. Department of State and the Office of Management and Budget (OMB) recently approved an increase from $25 to $35. What is the Passport Acceptance Fee? The sealed envelope with your passport application cannot be opened by anyone except for officials at the U.S. Passport Agency. You must send in this envelope within 5 days of visiting the acceptance agent. For the past ten years, the passport fee for acceptance service has been set at $25. On April 2, 2018, the fee for passport acceptance service went up to $35. Who Needs to Visit a Passport Acceptance Agent? Adult Passport Renewal (issued when applicant was 16 or older, passport is undamaged, and less than 5 years expired). What Are the Other Passport Fees? The passport acceptance agent fee is paid in addition to the application fee. The application fee for an adult passport (age 16 and older) is $110. The application fee for a minor passport is $80. Routine passport processing takes 4-6 weeks or longer. However, it may be possible to expedite your passport through the post office for 2-3 week service, though processing times are not guaranteed. 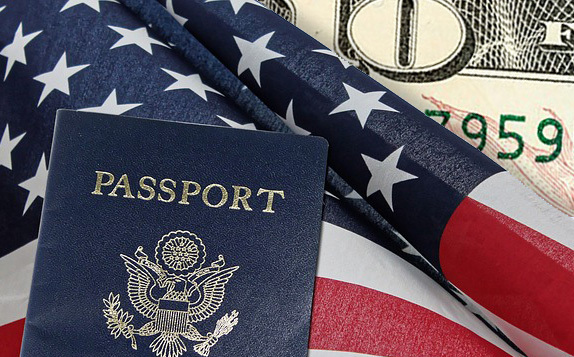 There is an additional $60 fee to expedite your passport. As our name suggests, all the services that Express Passport offers are expedited passport services! If the 2-3 week turnaround time is not fast enough for your needs, you can take advantage of our Express Passport expediting service. Travelers with upcoming confirmed travel plans can use our expediting service to get their passports as quickly as 1 business day. For more information, call us at 1-888-612-9899. The U.S. Department of State and the U.S. Postal Service use the passport fees to cover the costs of providing passport service. A recent review of the fee structure found that the cost of passport acceptance services has increased slightly. Therefore, the fee charged by the Passport Acceptance Facility had to increase. The passport application fees are non-refundable, including the passport acceptance fee. If your passport application is rejected or suspended due to errors with your application, passport photos, or any other reason (such as if you owe child support or a large amount of federal taxes), then you will need to resolve the issue before the passport will be processed. Apply now to beat the passport acceptance fee increase!